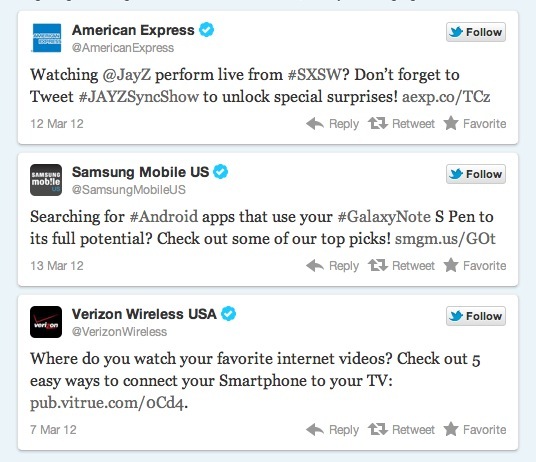 Twitter has today announced that it is expanding its testing of ads on mobile devices. Basically, you’re going to start seeing ads from brands that Twitter feels you ‘might have an interest in’ but that you don’t explicitly follow. Twitter is also adding the ability for advertisers to target specific devices like iOS or Android, or to broadcast Promoted Tweet campaigns across all platforms at once, including the desktop. Twitter doesn’t say how they will determine that you share an interest with one of your friends who follows a brand. There are also new targeting options for advertisers that will allow them to specifically target mobile devices like iOS or Android. Previously a brand could only broadcast the campaign across all platforms, including desktop. This should allow for more precision when targeting audiences for ads, a nice improvement for advertisers that should make their offerings more relevant. As Twitter points out, if an advertiser would like to offer a mobile app or service that was not available on Android, it would make little sense to show the ad to those users. This continues Twitter’s efforts to polish its advertising programs, leveraging its millions of users to help monetize the platform. It’s recent re-launch of its apps on Android and iOS demonstrate that it is in the midst of a strategy that we like to call ‘growing up’. Advertising on mobile isn’t an ideal situation, as the screen real-estate makes any displayed ad more obvious to the user, but its something that Twitter has to take control of if it wants to mature as a platform. If it can continue to offer its service and official applications for free, while keeping the advertising within reason, most users likely won’t mind. People are conditioned to expect advertising for free services, so as long as Twitter offers enough options for advertisers, and doesn’t overwhelm users with ads, it should do just fine.